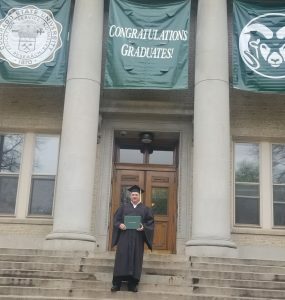 David Lee Schneider of Schneider Family Farms Red Angus Ranch, Oconto Wisconsin, graduated on May 12th from Colorado State University with a Bachelor’s Degree in Agricultural Business Management. David is a veteran of the U.S. Marine Corps. He currently serves on the board of directors for the Wisconsin Beef Council, and serves as Vice President of the Wisconsin Farm Bureau in Oconto County. David is one of only 413 ARPAS certified beef cattle scientists in the country. David is a graduate of Leadership Wisconsin Group XVI and was voted the 2016 Alva Rankin World Class Leadership award by his fellow group members. 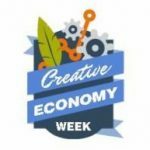 May 12-19, 2018 was the third annual Creative Economy Week, a partnership between Arts Wisconsin and the League of Wisconsin Municipalities. Creative Economy Week highlights the positive economic development impact of the arts, for communities of every size. 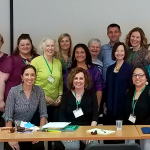 Check out this video to see Leadership Wisconsin Alumni Anne Katz (Group X) and Henry Veleker (Group X), along with Marci Reynolds (Waupaca Community Arts Board president) discussing this important community development program.